From online to on the shelves, making marketing a local affair. It’s important to get local when marketing to farmers. But what does going local mean? The definition of local is relative when looking at business in the 21st century. As more and more businesses are either online or have an online component, it takes an extra consideration as to how to market locally when customers can access businesses from across the country, if not globally. When we think of local, we’re reflecting on the geography, landscape, crops, livestock and weather that affects the farmers, ranchers and veterinarians that we’re marketing to. This is our community, and we would like to ensure that we’re meeting their needs. However, that community is coast to coast and everything in between, including online retailers, brick-and-mortar stores and those that function as both. Therefore, whether it’s marketing to the actual community or the online community, how do you market locally and meet these important ag needs? With an online business, your products are accessible across multiple regions. You may have more brand awareness than a brick-and-mortar store, but consumers may not know if your products are tailored for them or if you understand their specific ag needs. 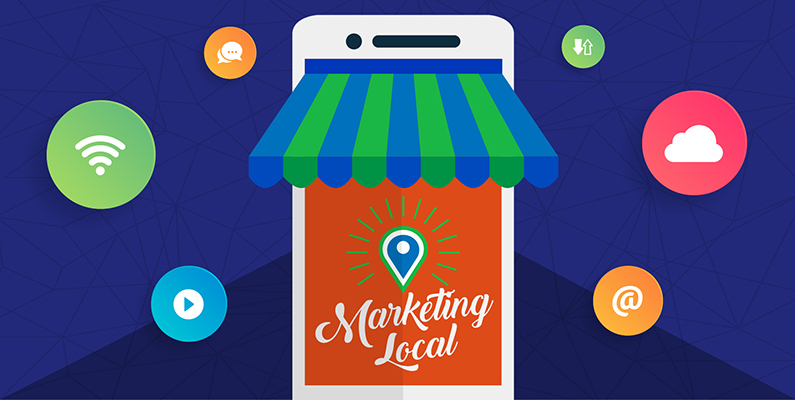 To maximize your potential and be most effective when marketing to targeted locations, you can connect with your customers through social media, advertising and local media. To best utilize social media, make sure you have an identifiable Twitter handle, Facebook and Instagram account and are strategically sending out news, information and photos about your business and the ag industry that is relevant to your followers and in their geography. Other ideas include hosting a Facebook live event to demonstrate your newest product line or equipment or holding an Instagram photography contest and offering free products to the winner. Online targeted advertising is a great investment opportunity. This allows you to direct your ads to specific audiences and demographics. You can also invest in targeted advertising across multiple social media channels. Connect with local media to expand your outreach into the community. Specialized content with accurate and relevant information about disease issues, product updates, and livestock and crop needs shows farmers and ranchers that you know the region and the industry. National media outlets are important, but many in ag still read the local newspaper and listen to ag radio. Many farmers, ranchers and ag companies are members and sponsors of organizations that demonstrate their commitment and responsibility to their community. This role is of primary importance and how they build trust in an organization. Farmers, ranchers and their families find intrinsic value when an organization steps outside of its doors and into the community. Online or around the corner, being able to attract the right customer in the right place makes all the difference. It comes back to knowing the needs of ag and recognizing the region to accommodate the community.